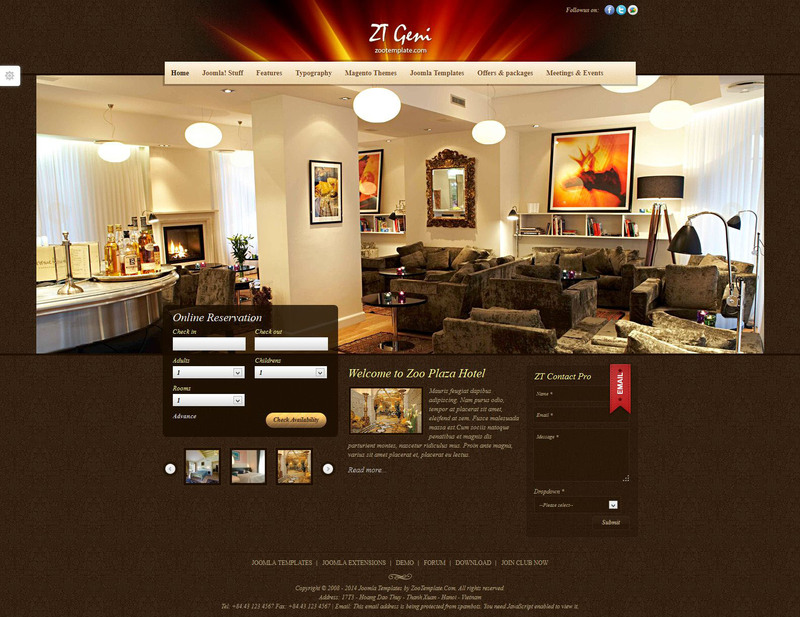 ZT Geni - impressive and professional design template from the studio ZooTemplates. Perfect for holiday-themed sites, design of hotel or sites. Uses a powerful and intuitive module JV Headline, as well as simple and functional modules like: ZT Twitter, ZT Facebook and ZT Contact Pro. Is comfortable and functional color toolbar.